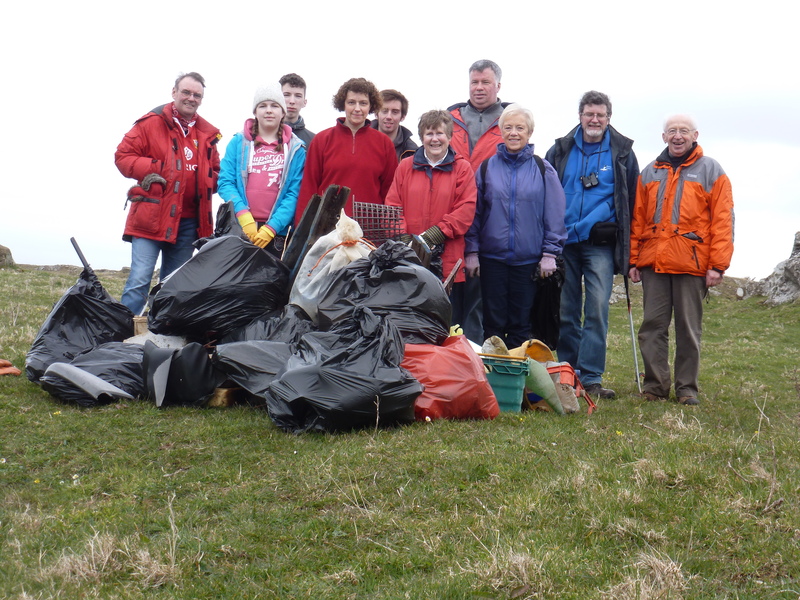 What a magnificent turnout and performance at the Big Rotary Beach Clean! This was the biggest one ever and included for the first time the beaches at Dowhill and Turnberry in addition to those at Newton, Doonfoot, Seafield, Bracken Bay, Dunure, Croy and Dipple. Congatulations to all who helped make this such a success. 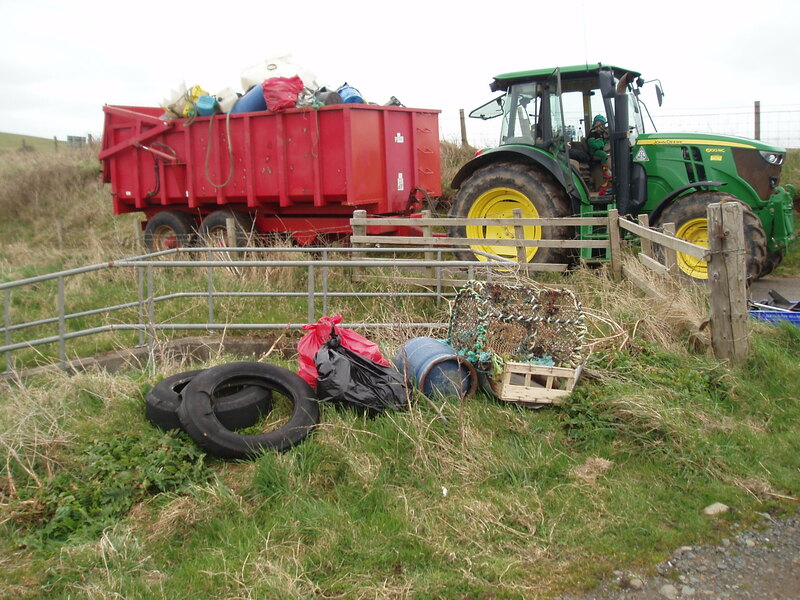 Interestingly, the Dunnymuck Beach (which is cleaned every year) and the Dowhill to Turnberry Beaches (which have never been cleaned) both produced exactly the same percentage of plastic litter (93%) to non-plastic (7%). Last year the proportion of plastic from all the beaches was estimated at 70% so there is an apparent increase in plastic overall. 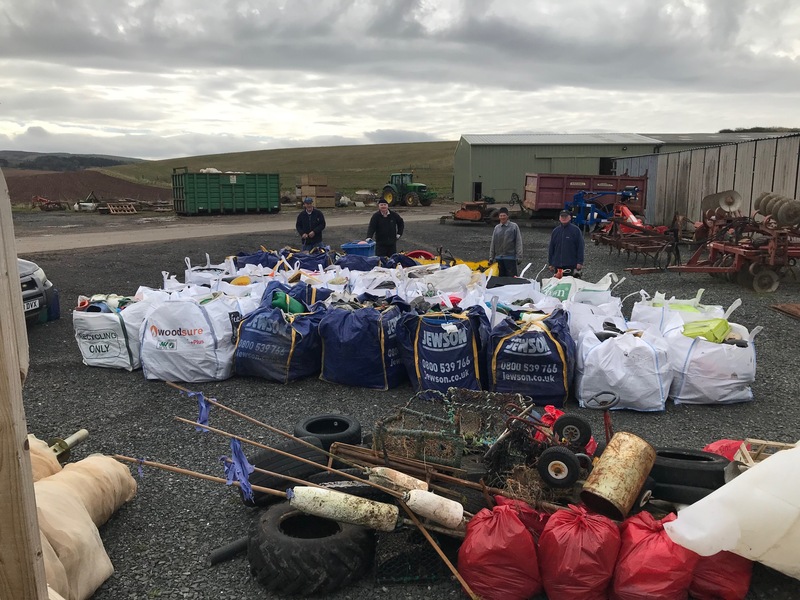 The plastic from the Turnberry to Dowhill and Dunnymuck beaches was all shipped to London to be piled on the BBC forecourt as part of The One Show special on Monday 16 April on marine plastic pollution and recycling. The programme will have been aired by the time this article is published. Although there is progressively less large material as the yearly clean ups improve the general situation, three drums of used engine sump oil dumped at sea by fishing boats were removed. 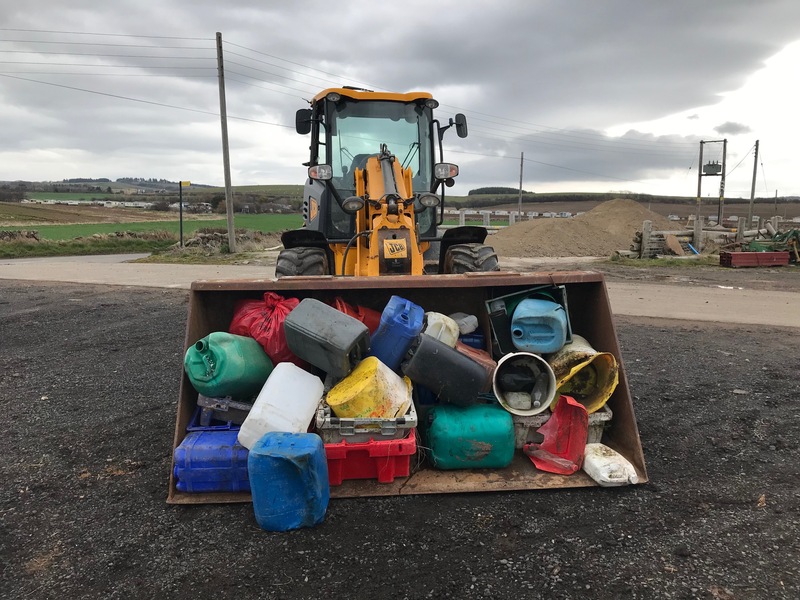 Around twenty of these drums have been recovered over the past twelve years, all between Girvan and Heads of Ayr, and, unfortunately, may be being dumped by local boats. Half a dozen environmentally conscious farmers and landowners now help with tractors and trailers at this huge annual event. 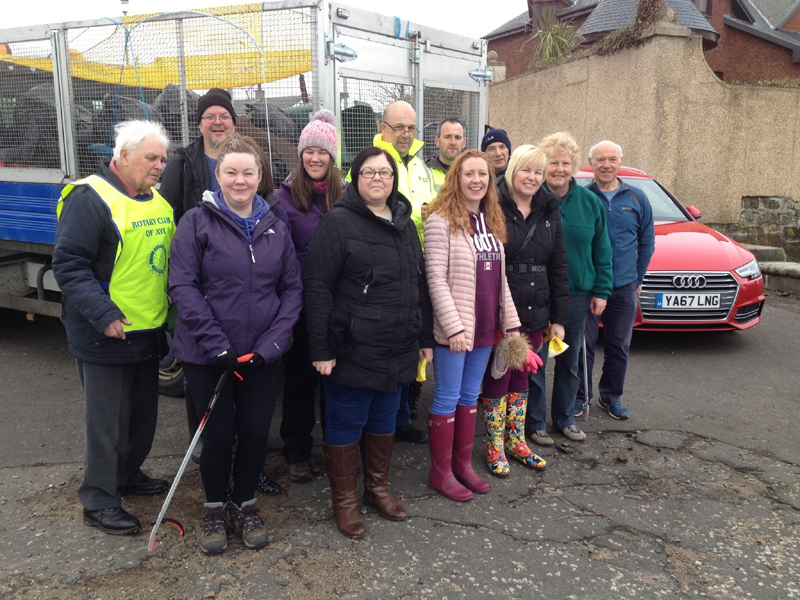 Their contribution is much valued because they convey the filled bags from the beaches to the roads from where South Ayrshire Council lift them. In total, well over the equivalent of 800 bags were filled and collected. Everyone is urged to Please Keep Our Beaches Clean. 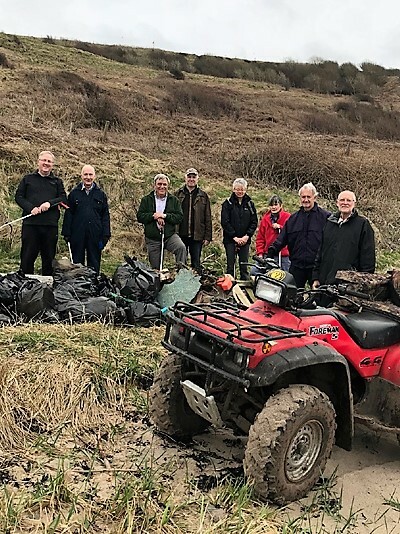 Not only will this make everyone’s visit to the beaches more pleasant but it will mean an easier job for the volunteers at next year’s annual clean-up.